I take great enjoyment reading books like this. In this case, the authors claim to have discovered a cluster of ancient sites scattered across the world that lay upon certain latitudes. I tried, truly tried to understand how they figured out these latitudes but couldn't. As far as I can determine, they find an ancient site and "cook" the numbers until it lies upon one of their latitudes. I'll take this opportunity to enthusiastically recommend L. Sprague De Camp's Lost Continents The Atlantis Theme. 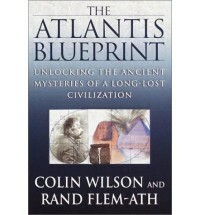 It's more than 30 years old and so it doesn't cover the more recent "stuff" but it's a wonderfully written deconstruction of the entire Atlantean myth.